Safety, Resiliency, Efficiency, and Sustainability. Energy Systems Group has developed diverse energy efficiency, renewable energy and capital improvement projects throughout the United States including the U.S. Virgin Islands. A NAESCO-accredited energy services provider, ESG develops and implements turnkey, comprehensive energy efficiency projects, distributed generation, cogeneration or combined heat and power (CHP) projects and waste to energy solutions. Paterson Public Schools has partnered with Energy Systems Group (ESG), a leading energy services provider, to implement a $14.5 million Energy Savings Improvement Program (ESIP) that will include comprehensive energy efficiency and infrastructure improvements for 17 schools. The ESIP is entirely paid for by energy savings, thereby not requiring additional budget dollars from the District. 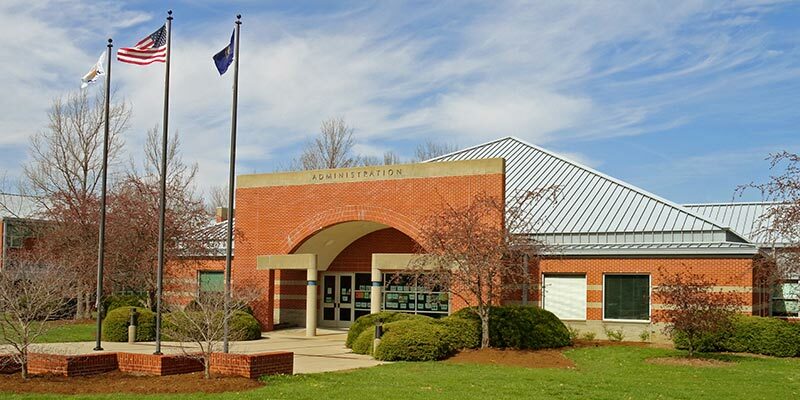 This project, which marks the first phase of a two-phase ESIP, includes energy and infrastructure upgrades at the elementary and middle schools while the next phase, currently in the early stages of Requests for Proposals, will include the high schools. By the end of 2019, all schools in the district will have received energy efficient upgrades. ESG will install black-start combined heat and power (CHP) units at Schools 10 and 24, which will enable the District to utilize waste heat to heat the buildings and provide backup power to specific circuits at the schools. 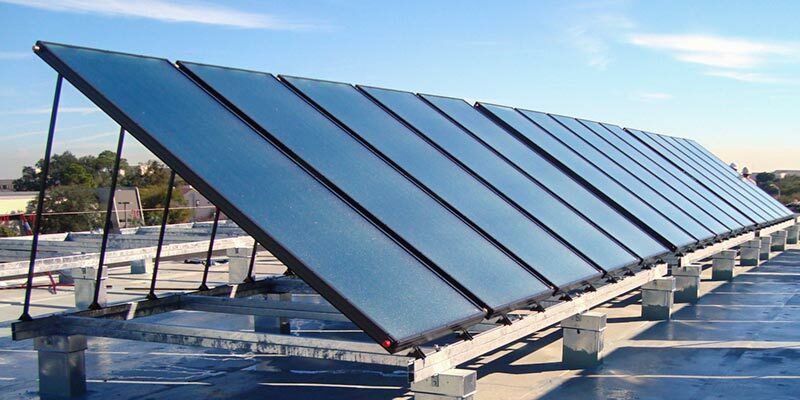 At no additional cost to the District, ESG will also install solar photovoltaic panels in ten schools, thereby helping reduce the District’s electric spend by approximately $3.3 million over the term of the project while affording students an educational opportunity to see renewable energy solutions firsthand. Paterson Public Schools will reduce its carbon footprint by more than 2,800 tons of carbon dioxide annually, which is equivalent to reducing greenhouse gas emissions from 650 passenger vehicles, conserving enough energy to power over 280 homes, or planting about 725 acres of forest. As part of the comprehensive energy efficiency and infrastructure improvements currently underway at 17 Paterson Public Schools, the Energy Savings Improvement Program (ESIP) will also include a Health and Science, Technology, Engineering, Arts, and Mathematics (STEAM) Career Exploration Program (Health/STEAM) for 80 fourth and fifth grade students. Paterson Public Schools partnered with Energy Systems Group (ESG), a leading energy services provider, to incorporate the platform as an educational component of the ESIP, which is projected to save the district more than $15 million in energy costs during the 18-year term of the program. The Town of Woodbridge signed a $13.4 million contract, approved by referendum in February 2014, with Energy Systems Group (ESG), a leading energy services provider, for the implementation of comprehensive building infrastructure renovations at Beecher Road School. ESG managed the building upgrades which included energy conservation measures, mechanical and controls upgrades, building envelope improvements, and security enhancements. Most of the work was completed during two summers and in the evenings to avoid disruption to the learning environment. As the building systems at Beecher Road School dated back to the 1960s, they were outdated, performing poorly, and beyond their useful life. The sustainable infrastructure improvements implemented have significantly enhanced the learning environment while making the school more energy efficient and modernized. Major work completed through the project includes a new roof on the A, B and C Wings, installation of 970 solar panels on the school’s roof, new window walls in the A and B wings, as well as completion of the new heating and air conditioning system, which provides central air to the whole school. Onsted Community Schools is one of 11 local districts that make up the Lenawee Intermediate School District of Lenawee County, Michigan. The mission of Onsted Community Schools is to ensure individual growth and an excellent learning experience to foster active and creative minds, with compassion for others and courage to be leaders in a diverse global community. Following its motto of “Honoring Tradition and Preparing for the Future,” and with an unwavering commitment to providing students with safe, quality, and healthy learning environments, Onsted Community Schools partnered with Energy Systems Group (ESG), a leading energy services provider, to design and implement comprehensive energy efficiency solutions and building upgrades that are anticipated to result in total energy and operational savings of more than $3.2 million over the 15-year term of the energy savings performance contract. ESG’s engineering and project development specialists designed a comprehensive scope of building improvements that will not only significantly enhance Onsted Community Schools’ leading academic environment, yet will also create economic and operational benefits such as reducing utility costs by 40 percent annually, improving district safety, security and comfort, and significantly reducing maintenance costs. 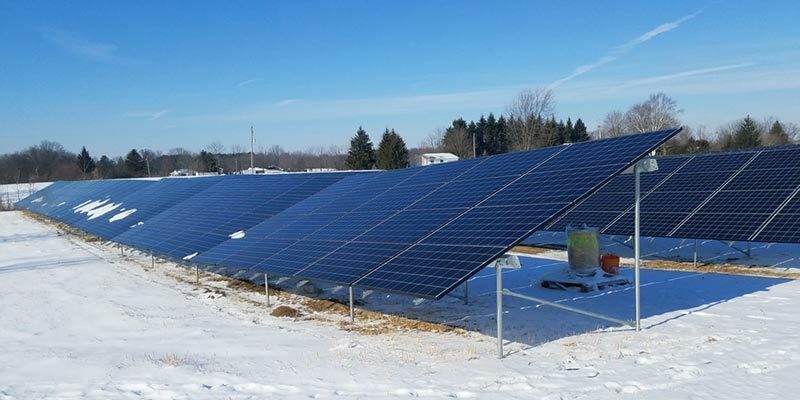 The installation of a solar photovoltaic system promotes sustainability and renewable energy, demonstrating the school districts, environmental stewardship. Community Consolidated Schools District 168 (CCSD 168) partnered with Energy Systems Group (ESG), a leading energy services provider, to complete a comprehensive renovation project at Wagoner Elementary, Strassburg Elementary, and Rickover Junior High. In addition to new playgrounds at Wagoner and Strassburg, the project scope included new flooring at all three buildings; new piping and water filtration systems at all three buildings; an upgraded track at Rickover; a new Learning Resource Center at Rickover; and a remodel of the sixth grade wing at Rickover. CCSD 168 was one of 29 school districts qualified to receive $9 million in Qualified School Construction Bonds (QSCB) for capital improvements and repairs. The QSCB is part of a Federal Program to assist school districts with capital projects needed to update and maintain buildings and grounds. Close to 200 School districts across the state applied for the QSCB. The intent of the Federal program is to allow districts to issue bonds for which the federal government will cover the interest cost thereby allowing school districts to be responsible for the principal and not the full interest costs. This opportunity allows the district to make needed repairs now while still being able to maintain a fund balance for other needed future expenditures. Energy Systems Group (ESG) helps K-12 schools overcome the challenges of limited budgets by providing turnkey, budget-neutral solutions that directly enhance school districts’ abilities to provide quality education in a safe environment for students and faculty. ESG designs and develops energy efficiency and facility modernization solutions that promote safety, enhance learning environments, improve student health and attendance, support teacher retention, and promote environmental and financial stewardship. 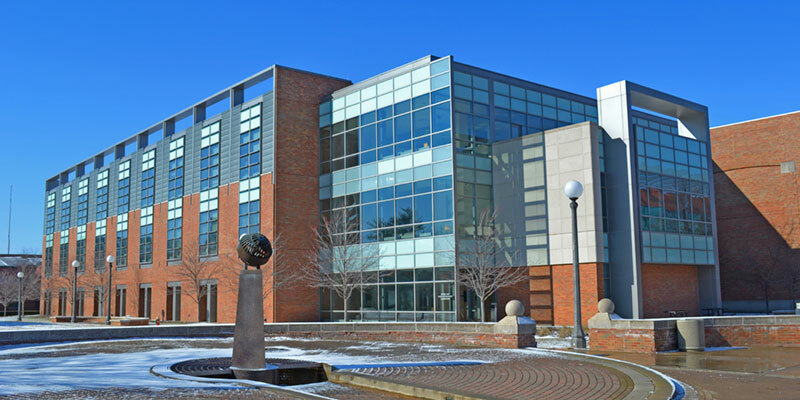 The University of Illinois at Urbana-Champaign (UIUC) selected Energy Systems Group (ESG) to develop and implement a $41 million energy savings performance contract for comprehensive energy conservation and infrastructure improvements at its UIUC College of Engineering. The project is the second ESG has completed for the university and guarantees energy and operational savings of approximately $42 million. The project’s scope of work includes air handling unit replacements and retrofits; low-flow fume hood replacements; VAV box upgrades on air handling units; DDC system upgrades; lighting system occupancy sensor installations; steam trap replacements; pipe insulation replacements; ductwork system cleaning; and the upsizing of equipment for future connection. New HVAC equipment and controls were installed, which allow for better temperature control, improved air quality, building pressure control, reduced maintenance, and energy savings. Occupancy sensors that reduce lighting load requirements were installed in all five buildings, saving energy and reducing maintenance. In addition, occupancy sensors were connected to HVAC systems to modulate airflow based on occupancy. A closed process water loop was installed to cool lab equipment that was previously cooled by millions of gallons of once-through city water each year. 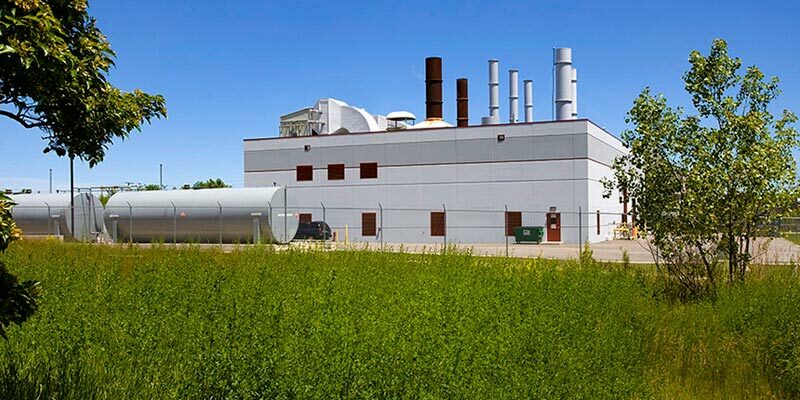 Ground water was utilized in a lab building for an exhaust air scrubber application. Exposed steam and condensate pipe was insulated, minimizing thermal energy loss, maximizing energy efficiency, and improving safety. Supply and return ductwork systems were cleaned, improving airflow, air quality, and increasing HVAC system efficiency. A cleanroom was constructed in an existing research facility. All associated HVAC, controls, and safety equipment were installed to meet ISO 5 cleanroom requirements. Energy consumption at UIUC is projected to drop by nearly 22 percent as a result of the improvements, and the university’s carbon footprint will be reduced by more than 4,034 metric tons of carbon dioxide per year over the term of the project. To put this in perspective, 3,819 acres of forest would need to be planted or 852 cars removed from the road to see a similar reduction in emission levels. 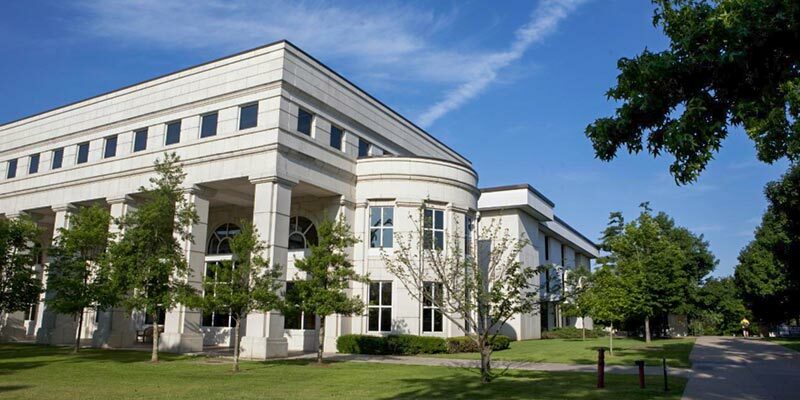 The University of Arkansas partnered with Energy Systems Group (ESG), a leading energy services provider, to design and install more than $30 million of facility improvements. The goals of the project were to reduce energy consumption and address deferred maintenance issues in 73 buildings on the Fayetteville campus. The program was named “Razors EDGE,” for Efficiently Delivering Green Energy. The work was completed in 2011. The energy performance agreement guaranteed that energy savings over a 13-year period would cover the cost of building improvements, reducing the campus’ total annual energy consumption by 30 percent. Energy savings data reports indicate that the University of Arkansas has exceeded the anticipated impact of its campus-wide energy savings and facility modernization program by approximately 24 percent in the second year since the program’s completion. The program also exceeded anticipated savings results in its first year of completion by about 20 percent. Renovations included the installation of more efficient lighting, heating and cooling systems, water conservation equipment, and installation of a solar powered heater for the swimming pool in the Health Education and Recreation building. In addition, ESG developed a campus-wide communications campaign about the energy savings performance initiatives. The “Razors EDGE” program provides students, faculty, staff and facility maintenance specialists with timely information regarding construction schedules, program benefits and training on use of the new equipment and controls. ESG also implemented a $3.6 million modernization and facility improvement program for the John W. Tyson Center of Excellence for Poultry Science. This program significantly reduces energy consumption while enhancing the learning and working environment. The program included retrofitting 57 laboratory fume hoods with low flow technology, new and updated HVAC controls, a new filter system, and improved communications and alarms. By implementing these energy conservation and sustainability measures, the university has reduced its carbon footprint by more than 18,800 metric tons of carbon dioxide, which is equivalent to one of the following annual environmental benefits: Planting about 15,500 acres of forest; Generating enough energy to power about 1,000 homes; or Reducing emissions from 4,000 vehicles. The Kentucky Community and Technical College System (KCTCS) partnered with Energy Systems Group (ESG), a leading energy services provider, to develop a comprehensive energy and facility improvement program that enhances the learning environment, reduces costs, and promotes campus sustainability. The goal was to accomplish these improvements without affecting existing budgets or increasing capital needs. Energy Systems Group developed three Energy Savings Performance Contracts (ESPC) projects for nine colleges, totaling approximately $10 million in facility and energy infrastructure improvements. These projects are anticipated to result in approximately $13 million in guaranteed energy and operational savings. ESG takes pride in its longstanding partnership with KCTCS and in serving the State of Kentucky as a trusted partner. Coupling their extensive experience and an in-depth analysis of KCTCS operations and facilities, the ESG team designed a multi-site facility improvement solution that combined energy efficiency, building performance, and technology to improve learning environments and reduce energy and maintenance operating expenses. This project also increased the administration’s flexibility for budgeting to help maintain a focus on their primary mission of education. In many colleges and universities, implementing sustainable development through energy efficiency and green technology has become a priority for both students and faculty. ESG has successfully developed and implemented energy efficiency, sustainability, and building modernization strategies in colleges and universities across America, eliminating unnecessary spending and reducing the environmental impact of each academic institution. The City of Middletown, New York partnered with Energy Systems Group (ESG), a leading energy services provider, to develop and implement comprehensive energy and infrastructure improvements that will result in millions of dollars in expected savings for the city. The $12.7 million energy performance contract includes light-emitting diode (LED) lighting upgrades, replacement of pool motors, installation of a solar array at the water plant, weather-proofing buildings and installing shut-off timers on city equipment like copy machines and printers. The contract also includes replacing water meters throughout the city to smart readers that can be read by radio signal. This will allow the city to better detect leaks and collect up-to-date, more detailed data on how much water is being used by customers without having to personally visit every home. City buildings, including the Paramount Theatre, will get more-efficient heating, ventilation and air conditioning systems and new boilers. The energy conservation measures implemented will reduce the city’s energy costs and water consumption with an anticipated savings of $18.6 million over the 15-year term of the contract. 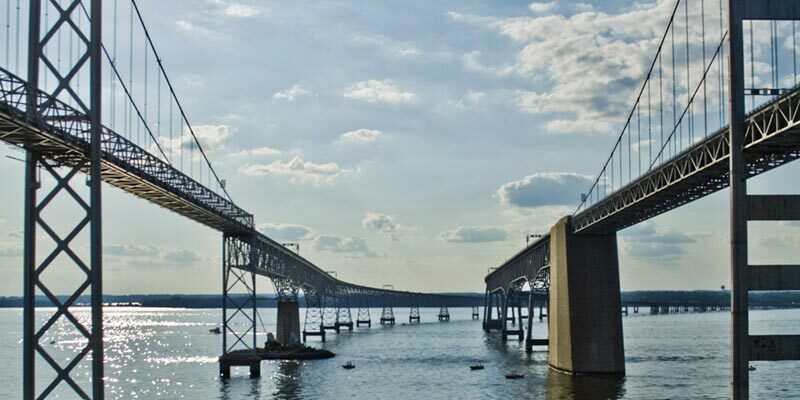 The Maryland Transportation Authority (MDTA) operates all of the bridges, tunnels and toll plazas across the State of Maryland. Since 1971, the MDTA has been responsible for constructing, managing, operating, and improving the State’s toll facilities, as well as for financing new revenue-producing transportation projects. The MDTA’s eight toll facilities, two tunnels and four bridges help keep traffic moving in Maryland. The MDTA selected Energy Systems Group (ESG), a specialized energy services and performance contracting company (ESCO), to complete over $8.6 million of infrastructure upgrades and comprehensive energy conservation measures in 46 buildings at eight locations statewide. These measures and improvements will result in energy savings of $640,000 annually and a reduction in maintenance costs of $184,000 annually. The energy conservation measures and infrastructure improvements developed by ESG included advanced-technology LED lighting that will replace existing sign lights throughout the State, including the Bay Bridge. The facility improvements included new boilers, expanded HVAC DDC controls, upgraded lighting and associated controls, solar heating photovoltaic system, water conservation, and building envelope upgrades. Shelby County Commissioners selected Energy Systems Group (ESG), a leading energy services provider, to develop and implement a $4.8 million Legacy Energy Savings Project made possible by Ohio House Bill 295. The project includes comprehensive infrastructure improvements to the historical Shelby County Courthouse. The courthouse, located in downtown Sidney, Ohio, is a 123-year old 4-story block facility of approximately 39,300 square feet. Energy and cost avoidance savings of approximately $425,700 per year will cover the cost of the project over the 15-year term of the contract. The ESG team, dedicated to giving back to the communities in which they live, work, and serve, built a strong project team comprised of nine local subcontractors for the implementation of energy conservation measures and building renovations. 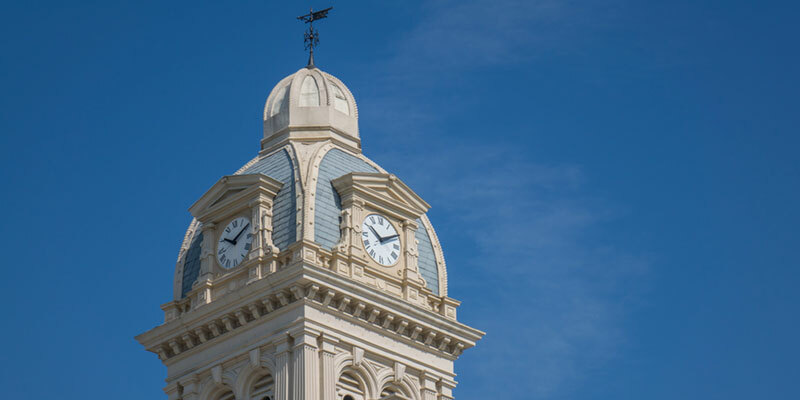 The Shelby County Courthouse Legacy Project includes key energy conservation measures that will reduce utility and operating costs, increasing the longevity of the courthouse building and making it a more energy efficient and sustainable facility. The improvements include custom built wood (Old Growth Cyprus) windows which are being built by Stulls Woodworking approximately 25 minutes from Sidney, Ohio. As a trusted advisor, ESG helps local and state government agencies identify and integrate solutions that advance their goals and objectives while driving operational efficiencies and improving livability, workability and resiliency. We plan, design, and manage the full spectrum of smart community solutions. From concept to reality, our broad depth of expertise affords local and state government agencies a holistic, reliable partner that orchestrates the implementation of comprehensive solutions with a focus on the technical, financial, and operational details. 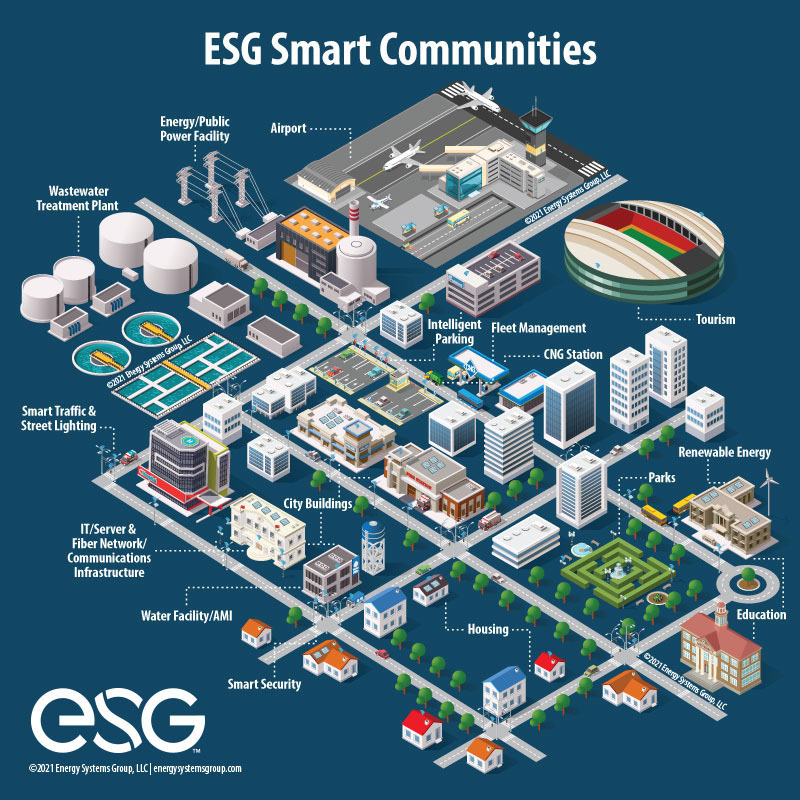 As a trusted advisor, ESG helps cities and counties identify and integrate solutions that advance their goals and objectives while driving operational efficiencies and improving livability, workability and resiliency. We uncover opportunities to drive revenue, reduce costs, and modernize infrastructure. We connect the dots. From monitoring energy use to automating meter readings and intelligent parking, we create connected cities that attract residents and businesses. We plan, design, and manage the full spectrum of smart city solutions. As the home of Mission Control, International Space Station operations, the Orion Program, and various other exploration missions, JSC is one of NASA’s largest sites. Grid outages, whether through capacity constraint, weather related crises, or otherwise, accentuated the need for increased resiliency in support of the critical missions taking place. JSC needed to align with agency goals, ensure power supply, and desired microgrid islanding capability. Competitively selected, ESG developed the first CHP project, and most significant ESPC, in NASA history, enhancing energy and mission surety in a capacity constrained region. The microgrid project will offset purchased electricity and steam with on-site cogeneration of 11.9 MW of electricity and 100,000 lb/hr steam. Electrical power generation of the combustion turbines will be supplemented by a back pressure steam turbine generator. Power output from the CHP plant will be via interconnect at two substations, both primary components of the distribution system. The interconnects will ensure power to critical loads such as Mission Control. The project alone achieves Site Energy Intensity Reduction goals through 2020, and has a visible impact on agency-wide goals. Housed on the U.S. Army’s Fort Detrick base, the National Interagency Biodefense Campus (NIBC) is the largest secured campus of biosafety level 3 and 4 laboratories in the world. ESG designed and constructed a microgrid system to ensure that critical utilities on the campus remain operational in the event of utility grid failures. ESG is responsible for on-site operations and maintenance of the microgrid, with follow-on work including the extending of direct-buried steam, condensate, and chilled water distribution systems. High-pressure steam and chilled water generation is provided to individual campus load centers via utility interconnections for a fully redundant distribution loop. Providing turnkey design, engineering, installation, commissioning, and procurement for steam and chilled water lateral pipelines, ESG also extended the existing duct banks to the Navy Medical Bio-Defense Research Lab transformers to connect it to the microgrid. 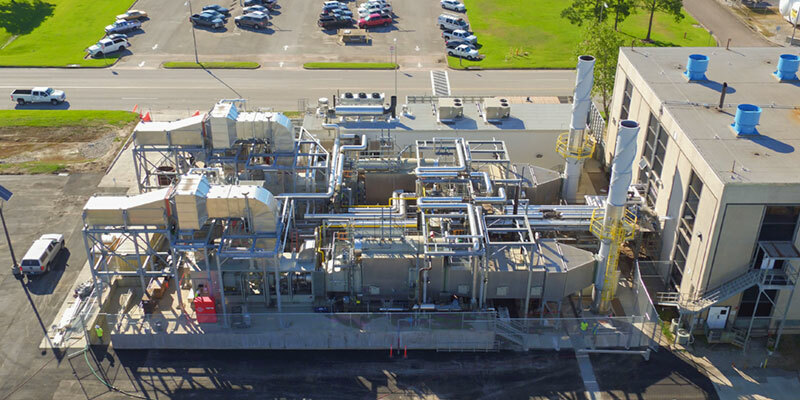 Further, ESG provided steam supply and condensate return connections, chilled water supply and return connections, and electrical connection to the new USAMRIID facility. Completed in 2015, it is the largest, most complex biocontainment facility ever built. Established in 1880, Picatinny Arsenal is one of the oldest military installations in the U.S. Situated on a 6,500-acre research and development campus in the northwest corner of northwestern New Jersey, Picatinny operates 2.7 million square feet of indoor floor space and supports over 4,000 personnel. 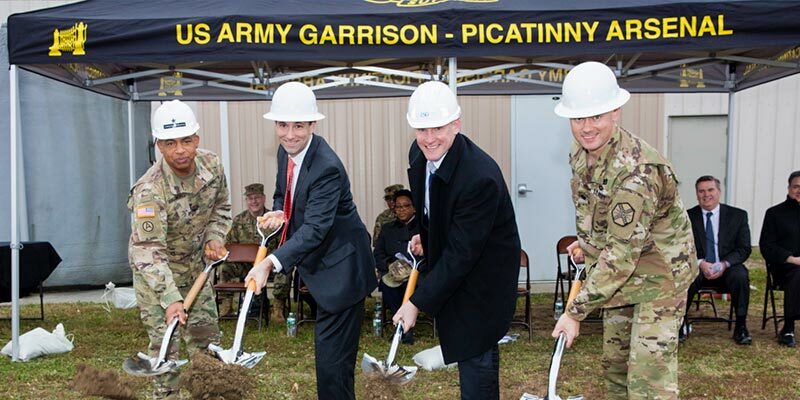 ESG worked with Picatinny Arsenal to develop a plan to prioritize its most critical energy and infrastructure needs, which led to a project reconfiguring the Arsenal’s 60-year old central heating system. ESG installed new steam boilers, hot water boilers, furnaces, and unit heaters to serve the more than 250 existing buildings. An industrial grade monitoring and control system was installed to support future operation and maintenance requirements. The construction schedule required detailed coordination between ESG, subcontractors, the local gas utility, and Arsenal employees and decision makers. ESG operates and maintains the system under the operations portion of the contract allowing the Arsenal to focus greater resources on its core missions. The project is reducing Picatinny’s long-term operating costs by over $100 million and reducing harmful carbon, sulfur, and nitrogen dioxide emissions by an estimated 1 million tons. The new natural gas distribution system and delivery of gas directly to most facilities allows the Arsenal flexible heating solutions. It also provides for major infrastructure improvements and progress towards standardization and modernization of systems and equipment. Delivering mission assurance through energy assurance is a pillar of ESG’s commitment to our federal customers. We know that to carry out the critical functions of government, be it advancing the frontiers of research, mission control, search and rescue, homeland security, force mobilization, or veteran healthcare, mission assurance relies on secure energy infrastructure. Firmly positioned to implement a broad spectrum of projects using Utility Energy Services Contracts, Enhanced-Use Leases, Power Purchase Agreements, and Energy Savings Performance Contracts, ESG helps uncover funding sources that align with the financial strategies of federal installations. Our dedicated project teams also bring extensive expertise in addressing challenges such as cybersecurity, energy surety, data center consolidation, and enterprise energy management. Located along the shores of Chesapeake Bay, Hampton Veteran’s Affairs Medical Center (VAMC Hampton) is a world class facility and leader in technology and innovation providing health care services to Veterans in Virginia and North Carolina. Seeking to improve its energy efficiency to enhance the campus infrastructure, VAMC Hampton collaborated with Dominion Virginia Power (Dominion) to undertake a Utility Energy Services Contract (UESC) for which Dominion competitively selected Energy Systems Group (ESG) to design and implement energy and water consumption reducing Energy Conservation Measures (EMCs) while improving facility infrastructure. Cooperation between Dominion, ESG, and VAMC Hampton helped develop the project in a short time (approximately nine months from selection to Task Order award). This project includes significant work in the main hospital and over 30 buildings on the VA campus including the MRI building, women’s health clinic, psychiatry and rehabilitation, boiler plant, dining hall, engineering shops, and administrative facilities. The chapel work included the refurbishment of 100-year-old stained glass windows. 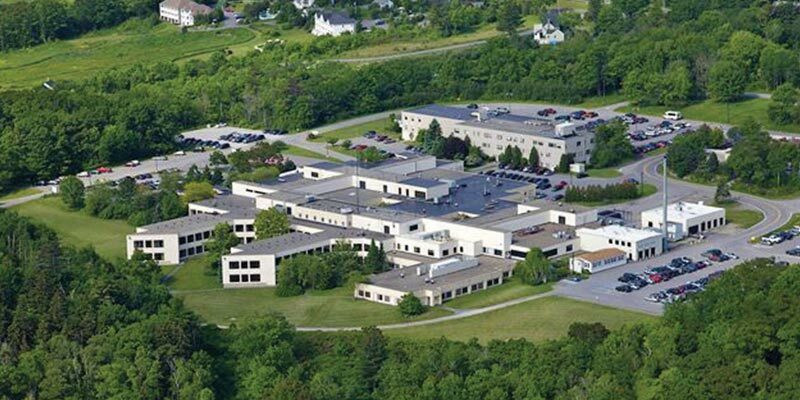 Pen Bay Medical Center is a 99-bed, full-service community hospital overlooking Penobscot Bay in Rockport, Maine. With a medical staff of more than 100 physicians, Pen Bay offers a wide range of acute and non-acute care services in the Midcoast, including inpatient and outpatient care, diagnostic, therapeutic and rehabilitative services, patient and community education, and a full-range of specialty services. Pen Bay Medical Center partnered with Energy Systems Group (ESG), a leading energy services provider, to design and implement two phases of comprehensive energy infrastructure improvements totaling $5 million. In 2013, ESG implemented a $2 million design-build contract to replace the hospital’s primary electrical switchgear. As part of an Investment Grade Audit authorized in May of 2013, ESG engaged internal and external subject matter experts to determine what was driving the hospital’s high energy consumption. In 2014, Pen Bay Healthcare signed a $3.1 million contract with ESG for the implementation of comprehensive energy efficiency and infrastructure modernization upgrades that have resulted in financial savings and environmental benefits. 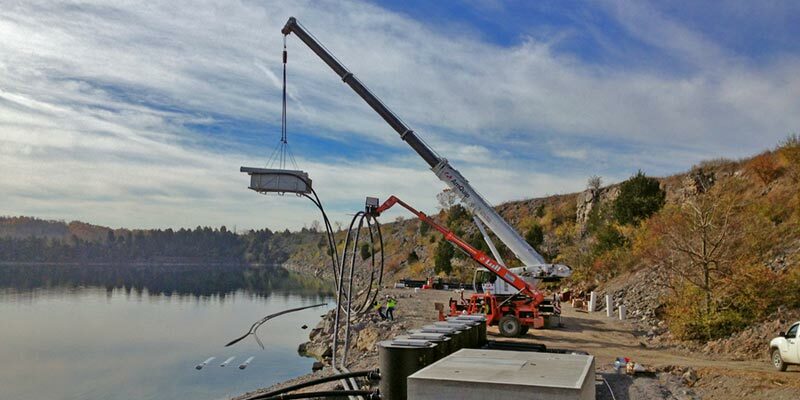 The improvements included the installation of a new fuel storage tank, and two existing, smaller tanks were converted to be able to use liquid propane gas. Burners inside the boiler plant were also updated, thereby allowing the hospital to burn cleaner fuel at a higher efficiency, which further cuts down on emissions. More than 2,600 lighting fixtures were modified or replaced with high-efficiency fixtures and lamps. This includes 52 external fixtures on the building and around the hospital parking lots. Wherever possible, light emitting diode fixtures were used to replace older fluorescent or incandescent units. In addition to cost savings, Pen Bay Medical Center will eliminate about 98 percent of the soot previously generated at the facility. Greenhouse gas emissions also will be reduced by an estimated 1,046 metric tons equivalent per year, which Pen Bay states is equivalent to 200 vehicles being taken off the road. North Chicago Veterans Affairs (VA) Medical Center needed an innovative way to improve energy service and reduce costs for their 40 building and 400 bed campus. 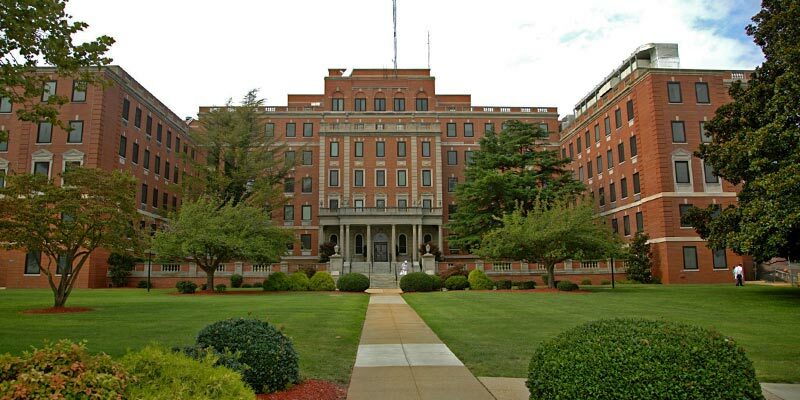 The Center also needed the capability to utilize a secure source of energy and develop a campus energy self sufficiency program with low risk and no impact to the hospital’s services and all of this at no cost to VA or taxpayers. Every day, America’s medical facilities provide tens of thousands of Americans with crucial health services and improve the quality of their patients’ lives in the face of escalating energy and facilities maintenance costs. Implementing energy efficiency and facility modernization strategies can help healthcare facilities reduce costs and achieve re-investment revenues from direct energy savings while dramatically extending power reliability during disasters and emergencies and increasing the quality of patient care and comfort. 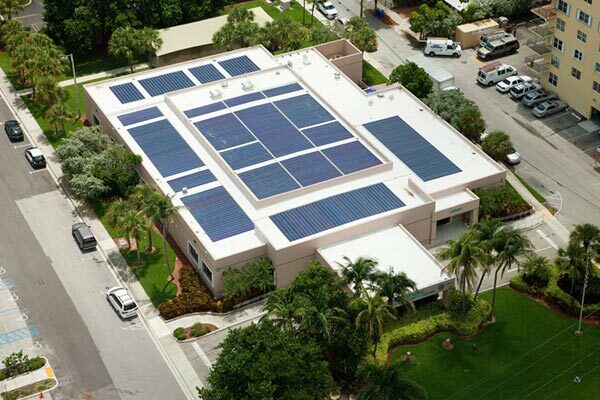 From hospitals and medical centers, to continuing care, assisted-living, and retirement communities, ESG provides advanced energy and infrastructure solutions that increase efficiency, reduce costs, improve infrastructure, and promote sustainability. Energy Systems Group (ESG), a leading energy services provider, was awarded a $19.9 million contract for the design, development, and implementation of a comprehensive energy savings performance contract at the State Correctional Institution (SCI) at Dallas, commonly referred to as SCI Dallas. The project scope includes the implementation of energy and infrastructure improvements such as comprehensive lighting upgrades that will save energy and reduce costs, throughout 50 buildings, totaling 700,000 square feet. These improvements are anticipated to result in annual savings of $2.25 million. Energy Systems Group provided engineering, design, project management, guaranteed energy savings, and facilitated financing. Subcontractors were involved in the installation of equipment. In addition, ESG will monitor, measure, and verify savings. Lighting Upgrades (LEDs); Lighting Sensors; Exterior Lighting Upgrades (LEDs); new natural gas- fired Boilers, fuel switch #2 fuel oil back-up system; steam traps; facility-Wide water conservation (low flow controls); improved sludge dewatering techniques for the wastewater treatment plant; and installation of vending misers. 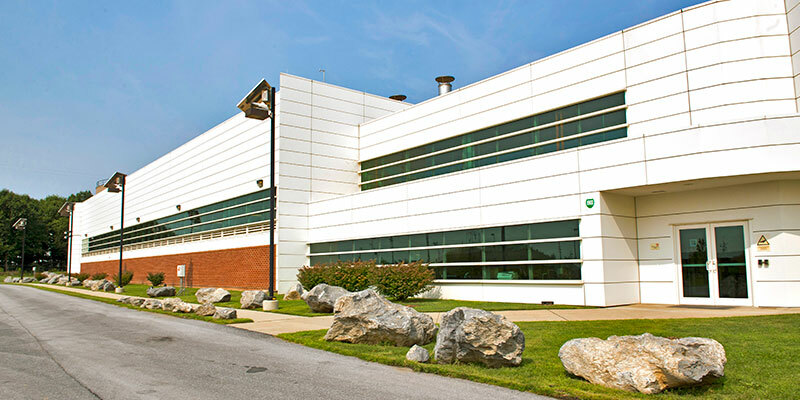 Energy Systems Group developed a $12.6 million energy savings performance contract at three Kentucky Department of Corrections facilities, which is anticipated to result in more than $15.8 million of energy and operational savings over the term of the project. 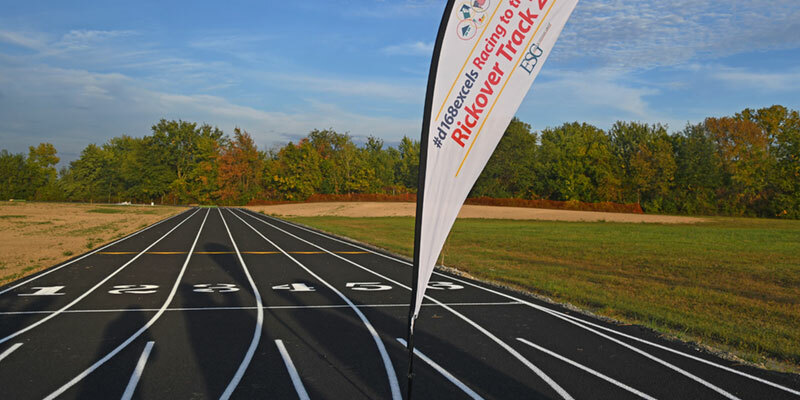 The project included $4.4 million of Green Bank funding via the American Recovery and Reinvestment Act (ARRA). Bell County Forestry Camp: Lighting Improvements, Mechanical Improvements including Duct Cleaning, and HVAC improvements to the Dorms. 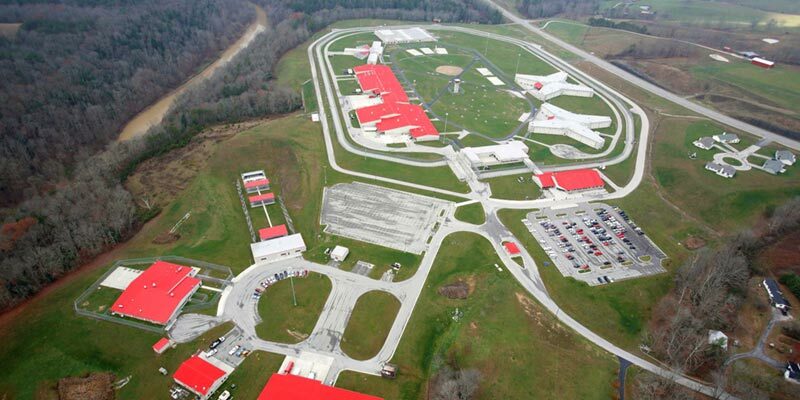 Eastern Kentucky Correctional Complex: Lighting Improvements, Water Conservation Improvements including water closets, faucets, urinals, showers, ice machines, leak mitigation, and a sewer credit meter. Mechanical Improvements including heating System Upgrades. Cooling System Upgrades including Replacement of four chillers. Destratification Fans in Phase 1 and Phase 2 Gymnasiums. Chiller Plant Upgrades. Little Sandy Correctional Complex: Lighting Improvements Water Conservation Improvements including restroom faucets. Mechanical Improvements including destratification fans and Utility Rate Change. The purpose of Oakhill Correctional Institution (OCI) is to maintain the safe and secure custody of minimum security offenders in a responsive, supportive, equitable, and quality environment. Its primary emphasis is to prepare offenders for release into the community by providing education, treatment programs, work release opportunities, and pre-release programming. Underscoring its commitment to providing safe and quality environments, the Wisconsin Department of Corrections selected Energy Systems Group (ESG), a leading energy services provider, to implement a $2.2 million project that included energy conservation measures and facility improvements at Oakhill Correctional Institution. The project was completed in November 2015, and the solutions implemented are anticipated to result in more than $2.6 million in energy savings over the term of the contract. The building improvements and upgrades included steam traps, water and sewer conservation, building envelope improvements, lighting and occupancy sensors, energy management systems, and the replacement of missing steam piping insulation for all buildings. The Mars building received return air addition to the AHU, the Administration building received dual duct to VAV conversion, Cottage, AB received return air addition and air reduction, and HSU received constant volume to VAV conversions on AHU – 2. As state and local agencies look for efficient and cost-effective ways to carry out vital upgrades in their prisons and detention centers, they are increasingly turning to energy performance contracting. ESG’s turnkey design-build and infrastructure improvement solutions can help correctional facilities overcome the challenges of limited budgets, aging and inefficient buildings and equipment, security restrictions, and limited staff resources available to manage and maintain outdated systems and equipment. ESG’s solutions help correctional facilities address emergency or standby power needs, increase security, maximize energy efficiency, reduce costs and promote sustainability. Our team ensure ACA engineering compliance and helps correctional facilities advance their core mission and inmate rehabilitation. The Metropolitan Nashville Airport Authority (MNAA) partnered with Energy Systems Group (ESG) to develop an innovative use for the former Hoover rock quarry located on the airport’s property. This geothermal lake plate cooling system project, dubbed the largest in North America, reduced the airport’s chilled water energy consumption from February to May 2016 by more than 50 percent. The project was designed to reduce the airport’s electricity usage by 6,000 kilowatts of peak demand and result in annual savings of 1.3 million kilowatt hours. The MNAA is projected to save more than $430,000 per year in utility savings. In addition, the project allows for the use of quarry water for landscape irrigation resulting in savings of more than 30 million gallons of potable water per year. The MNAA received multiple awards for the project including the 2017 Envision Silver Award for Sustainable Infrastructure - Water Source Geothermal Project and the 2016 Environmental Achievement Award in the Special/Innovative Projects category from the Airports Council International-North America. The MNAA was also awarded the 2015 Governor’s Environmental Stewardship Award in the Sustainable Performance category by the Tennessee Department of Environment and Conservation, recognizing its programs and initiatives that improve and protect the environment and natural resources. This geothermal project represents ESG’s third phase of work with the Metropolitan Nashville Airport Authority. ESG previously completed a $4.6 million two-phase energy savings performance contract that primarily included lighting upgrades throughout the Nashville International Airport and other MNAA-owned buildings. The 43-acre former Hoover rock quarry has an average depth of 150 feet, contains approximately 1.5 billion gallons of water and at a depth of 50 feet, maintains a constant temperature of 50 degrees Fahrenheit year round. The project was designed to replace the airport’s cooling towers by taking advantage of the water’s constant cool temperature to cool the water from the airport’s central plant. Water is cooled by circulating in a closed loop system through the submerged lake plate heat exchangers and then back to the airport’s central plant. NAS Jacksonville, one of the Navy’s fastest growing installations, is the largest base in the Navy’s Southeast Region, and is the third largest Naval installation in the nation. As a master air and industrial base, it supports U.S. and allied forces specializing in anti-submarine warfare and training of the best aviators in the world. Looking to increase energy resiliency in support of its mission and to reduce ashore vulnerabilities, NAS Jacksonville sought industry partners that could deliver energy reductions and operational improvements to 70 buildings, as well as provide improved capability to control its energy supply and distribution, without impacting existing budgets and base operation during critical operation. In coordination with the base leadership, ESG crafted an energy strategy in partnership with TECO Peoples Gas to install energy efficiency upgrades to base facilities and infrastructure which included lighting improvements, water saving retrofits, and steam to natural gas conversions. This project provided major annual cost savings and more than 65,000 MBTUs in annual energy savings at Naval Air Station Jacksonville, reducing site energy intensity by over 22 percent annually. Infrastructure resiliency begins with risk management compliance, information assurance procedures and ongoing vulnerability assessments. 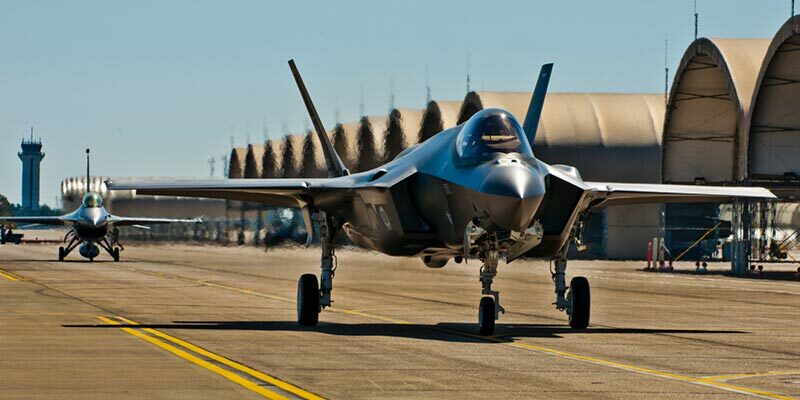 With security in mind, ESG was competitively selected by Gulf Power to develop, design, and implement an energy management system (EMS) upgrade at Eglin AFB. The solution consisted of building a new and secure network dedicated to communication with existing industrial control systems, including both the HVAC Direct Digital Controls and advanced utility metering systems. The new EMS utilizes energy management software capable of accessing real-time and archived data from disparate automation systems for use in dashboard displays, reporting, and diagnostic analysis. Work included installation of network IT infrastructure; upgrades to the HVAC controls system by installing Enterprise network controllers and components for implementing energy conservation strategies; an energy management software platform that provides useful, integrated data from the HVAC controls and utility metering systems for analysis and reporting; development of a utility billing software tool; and development of a Strategic Energy Master Plan, which serves as a model for other facilities/agencies. ESG works closely with aviation facilities from airports to air force bases to design and implement leading energy infrastructure and efficiency solutions that reduce operating costs, eliminate unnecessary energy use in aviation facilities, and improve the overall quality of aviation facilities.